Feyre, Rhys, and their close-knit circle of friends are still busy rebuilding the Night Court and the vastly-changed world beyond. But Winter Solstice is finally near, and with it, a hard-earned reprieve. Yet even the festive atmosphere can´t keep the shadows of the past from looming. 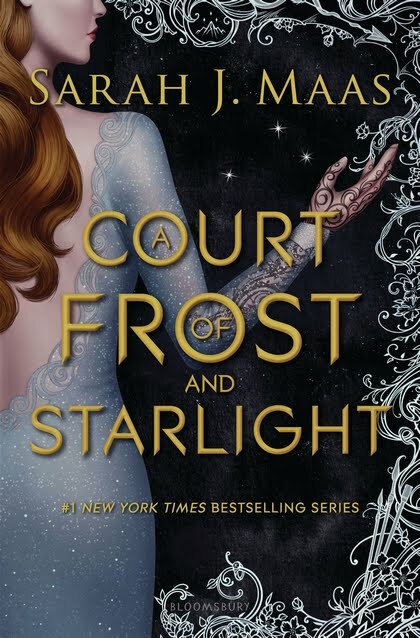 As Feyre navigates her first Winter Solstice as High Lady, she finds that those dearest to her have more wounds than she anticipated – scars that will have far-reaching impact on the future of their Court. Yap, reading the first was one great read. Thanks for stopping by. This is one series that I would love to start! It sounds like such an amazing one. It is, it definitely is. Thanks for your visit, Jenea. I too want to read this! I hope you get a chance to read it! Oh I will, already pre-ordered it *smile* Thanks for your visit. Well, that cover does have the whole 'back of woman' thing. Don't know why that type image became popular. Anyway, if it's a favorite author, it's all good, right? Well, I can´t tell why I am not all over the moon with that cover. Maybe because the other two are showing Feyre from the front? I don´t know. But this one is pretty, too, not going to deny that *smile* Thanks for your visit. I think a lot of people are waiting for this one. I never made it past the first one. Hope you enjoy it! I have 2 and 3 still waiting for me *smile* Thanks for stopping by. It is sooo promising, right?! Thanks for your visit.